Be her Prince Charming by sending her this spectacular, feminine bouquet! 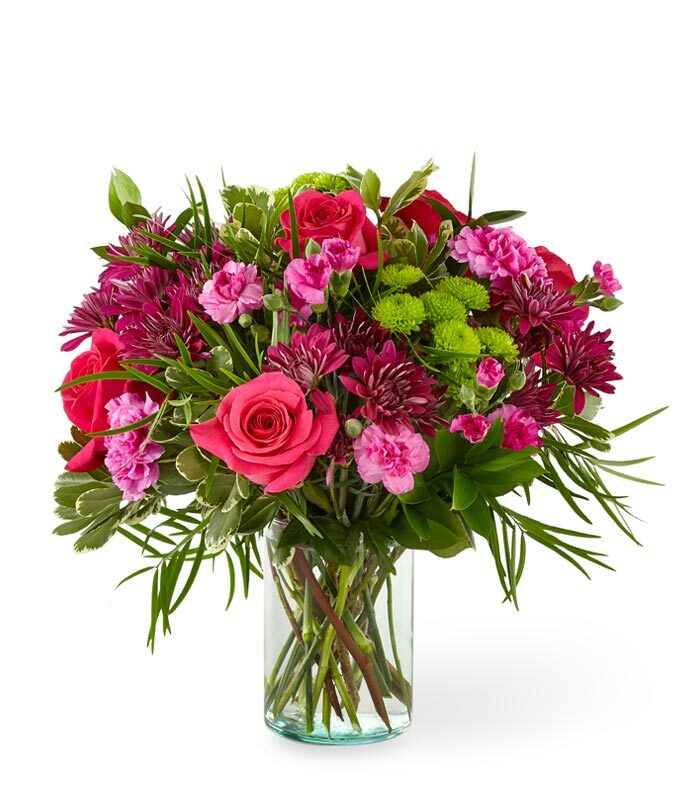 This combinations of roses, carnations and poms is sure to sweep her off her feet in an incredibly romantic gesture! Approximate arrangement Height 13", Length 13"